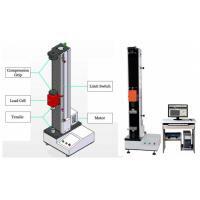 More load cells can be added according to customer requirement. 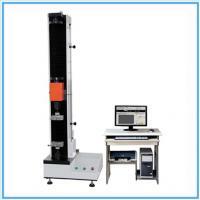 High or low temperature test chamber, High temperature oven. lower for compression, double space. The beam is step less lifting. 4.6 Adopt bolt type grip installation, make the grip replace easier. over-current, over-voltage, over speed, overload protection device. test standards,different languages,flexible setting the test program to meet the test requirements. and characteristics of the material test data. material test properties, which is your best helper to analyze the material. 6.1 Auto zero clearing: When test begin to start, the system auto zero clearing. 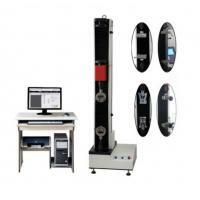 6.2 Auto calibration: System can automatically realize the value accuracy of the calibration. 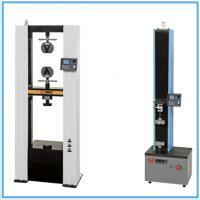 6.3 Auto return: Finish test, the cross beam will auto return to the starting position. 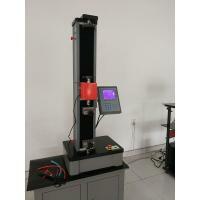 switch to the appropriate range, to ensure the accuracy of the test data. according to the preset program, also can manual change. also be artificial correction analysis results, improve the accuracy of the analysis. 6.8 Display way: Dynamic display of data and curves with the testing process. enlarge, presenting comparison of a set of sample. 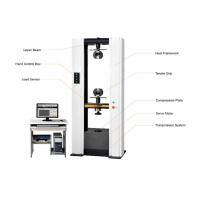 horizontal or vertical movement, real-time high speed sampling. 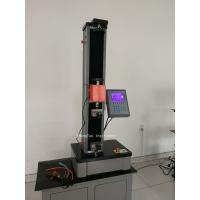 various test need of customers. 6.12 Test report: According to user required format to compile reports and can print bulk data. 6.13 Limit protection: With mechanical and Programmable two level limit protection function. 6.14 Overload protection: When the load exceeds the maximum file of 3-5%, automatic stop. lower limit and emergency stop protection function .